BrokersIC Markets is an ASIC-regulated MetaTrader and cTrader broker that provides competitive spreads on its commission-based accounts for forex and CFD traders. Founded in 2007, International Capital Markets Pty Ltd (IC Markets) was established in Sydney and acquired an Australian Financial Services License (AFSL) with the Australian Securities and Investment Commission (ASIC) in 2009. Today, IC Markets offers the suite of trading platform from MetaQuotes Software Corporation, including MetaTrader4 (MT4) and MetaTrader 5 (MT5), as well as the suite of cTrader platforms from SpotWare Systems. In addition to providing traders 63 forex pairs and 41 CFDs on indices, metals, cryptocurrencies and futures contracts on its available account types, IC Markets also provides social copy trading via Myfxbook and on the ZuluTrade platform. Here at ForexBrokers.com, we maintain the largest independent regulatory database available on the web. Using 28 different variables, we have created a proprietary 1-100 score (the higher the better) of overall trustworthiness, which we call the Trust Score. Here is our trust summary of IC Markets. The following table summarizes the different investment products available to IC Markets clients. IC Markets offers three account types in which trading costs vary from commission-free (spread only) on the Standard account to commission-based pricing (spread + commission) on the True ECN and cTrader accounts. IC Markets also offers further discounts to traders that do over 100 standard lots per month, akin to an active trader offering. The cTrader account has about a tenth of a pip lower commission than the TrueECN account, making both accounts similar. The main difference is the platform that can be accessed. For example, the True ECN account, which uses MT4, charges $3.5 per side for every 100k units (1 standard lot) or $7.00 per round turn (RT), whereas on cTrader it is $3.0 per side or $6.00 per standard RT. IC Markets lists its average spread on the EUR/USD at 0.1 pips, and after adding the commission equivalent of 0.6 pips on the cTrader account, the all-in costs would be 0.7 pips (or 0.8 on MT4) which is competitive. IC Markets also offers further discounts to traders that do over 100 standard lots per month, akin to an active trader offering. Meanwhile, the commission-free standard account has an average spread of 1.1 listed by IC Markets, making it a less attractive option compared to the other two commission-based account types. 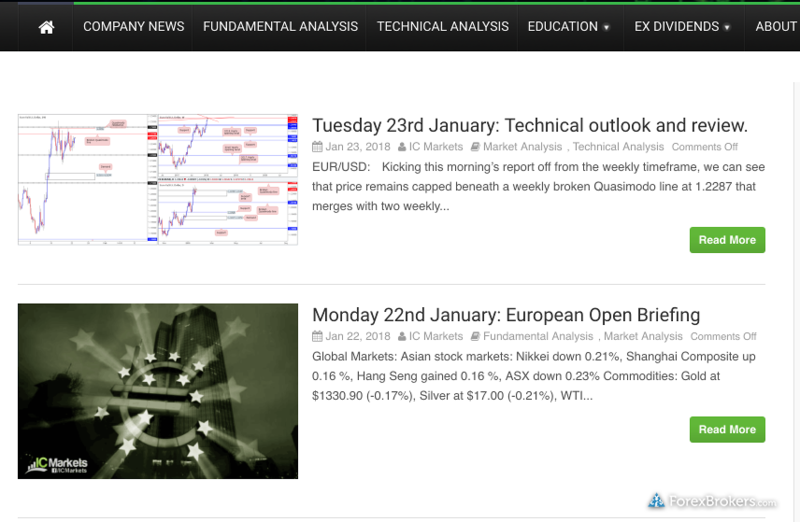 IC Markets combines some in-house research resources, such as multiple technical and fundamental analysis, on its blog every day under its market analysis section, alongside content powered by third parties, including an economic calendar from MQL5 and news headlines from Myfxbook. Beyond the minimum industry standards, IC Markets also provides social copy trading via ZuluTrade and Myfxbook. For MetaTrader 4, IC Markets provides the Advanced Trading Tools add-on developed by FX Blue LLP. IC Markets also added EA Lab by Trade View in 2017, which lets users build out their Expert Advisors (EAs) for automated trading on MetaTrader platforms. With EA Lab, traders use a drag and drop feature that removes some of the complexity around understanding code, yet still requires advance technical knowledge. Besides social copy-trading resources and the platform add-on, research is not IC Markets’ strong point as the broker does not provide pattern-recognition tools or news headlines in MT4. IC Markets offers third-party online forex trading platforms from two of the most popular developers, including MetaQuotes Software Corporation – creator of the MT4 and MT5 platforms, and the cTrader platform suite developed by Spotware systems. 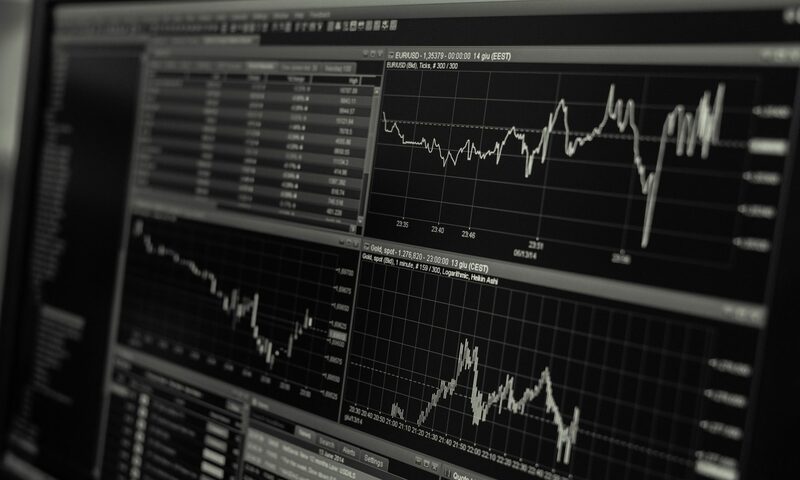 While MT4 and MT5 come standard with little variation from broker to broker on the surface of the platform, there can be significant differences in how the platform is set up for trading spreads and commissions, the available execution method, and other tools, features, and administrative areas that can affect your trading experience.